President Trump made many campaign promises on immigration. The President promised to make border security a priority. He promised to make E-Verify mandatory, cutting off the magnet for immigrants to illegally migrate to the United States in search of work. The President also repeatedly promised to lower immigration levels. Which is why many Americans, especially those of us concerned with mass immigration, were disappointed when President Trump flip-flopped on his campaign promise to lower legal immigration levels, recently saying in his SOTU address that he wants, "people to come into our country in the largest numbers ever." 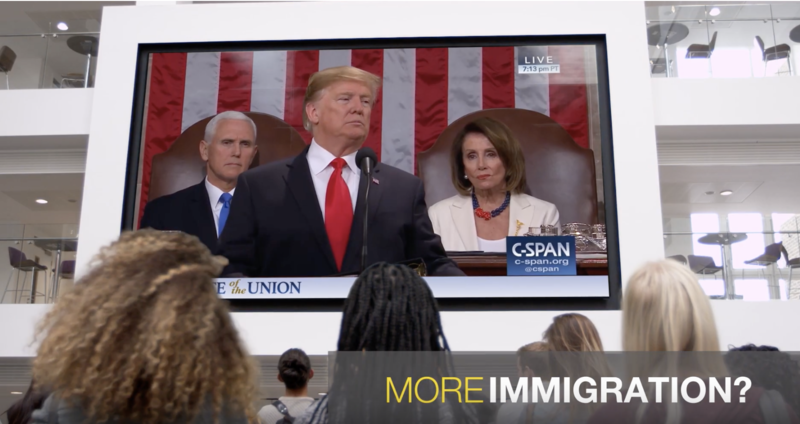 Californians for Population Stabilization (CAPS) took the President at his word, and launched a TV and digital ads in Washington D.C., Maryland, and Virginia asking why President Trump would call for increases in immigration and foreign workers when American wages just began rising. The ads are scheduled to run six weeks. CAPS Executive Director Ric Oberlink had this to say about wages and increasing legal immigration to the United States. You can read CAPS' full press release here.